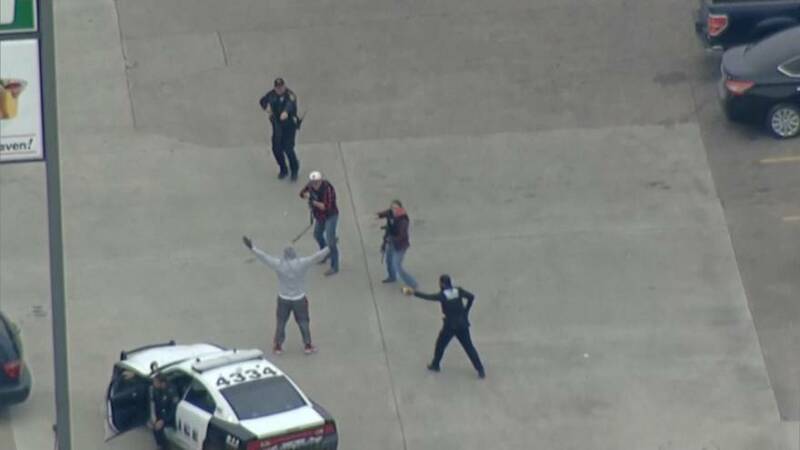 A bizarre police chase featuring a mini-van ended with the arrest of a man in the parking lot of a local gas station in Dallas, Texas. Authorities say the suspect drove away from a routine traffic stop around 3 pm local time, which led to police chasing him through three cities. The driver was reportedly being pursued by state troopers and police officers from Garland and Dallas. At one point, he stopped abruptly at an intersection for a few moments only to hit the gas pedal once again. The pursuit ended when the suspect parked up to walk into a corner shop about an hour later. On his way out, he was met by a host of officers who arrested him.